From ceramic tiles to flagstone, Miele's Swing H1 Tactical PowerLine universal upright vacuum cleaner is ideal for light, quick cleaning tasks on a wide range of smooth floor surfaces, as well as low-to-medium pile carpeting. 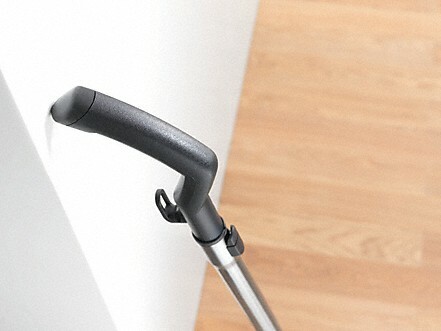 Unlike many stick vacuums, the universal upright provides ample pickup power with a 1,000 watt Miele-made vortex motor. The Swing H1 comes standard with a FiberTeQ combination floor tool that is designed to care for all smooth flooring and low-pile carpeting. An integrated glide feature ensures a gentle clean on even your most sensitive solid floors. And by pressing a convenient rocker footswitch, you'll transition to carpet and rugs with ease. "With Miele, you can choose from three different exhaust filters." With Miele, you can choose from three different exhaust filters. The Air Clean filter provides effective filter action for everyday needs. "Thanks to our exhaust filter, the air discharged is purer than the room air prior to vacuuming." High motor power does not guarantee a good vacuum cleaner. With Miele, a number of design characteristics interact in a most efficient manner. 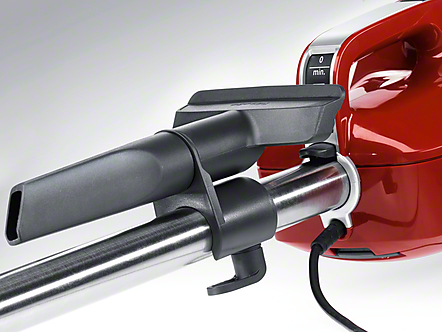 The tight seal of Miele vacuum cleaner housing and perfect air flow ensure strong suction of the floorhead. 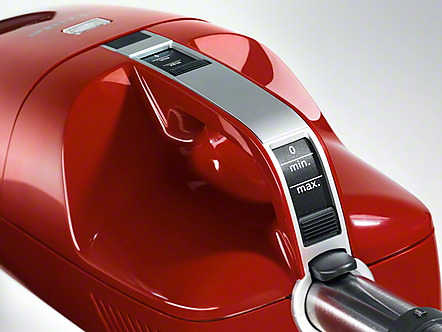 Miele has developed especially efficient floorheads for low wattage vacuum cleaners; they achieve perfect cleaning results even with the lowest power setting. 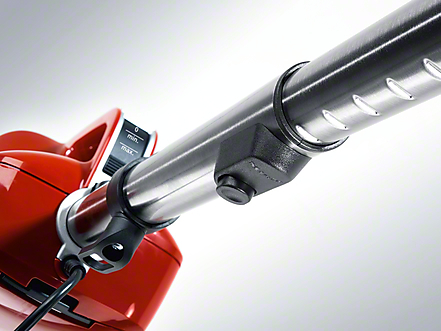 The exceptional overall filtration of Miele vacuum cleaners is based on a multi-level filter system. It consists of the innovative Miele AirClean dustbag, the motor protection filter and the Miele exhaust filter. 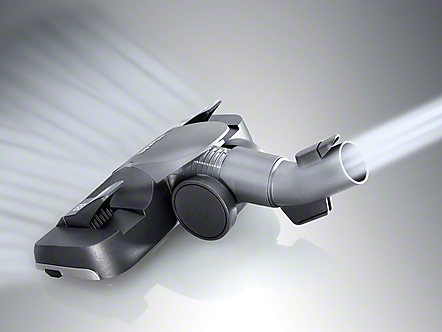 The interaction of these components ensures that more than 99.9% of fine dust is filtered. You can breathe with ease! Number 1 in Quality – 100% inspected! 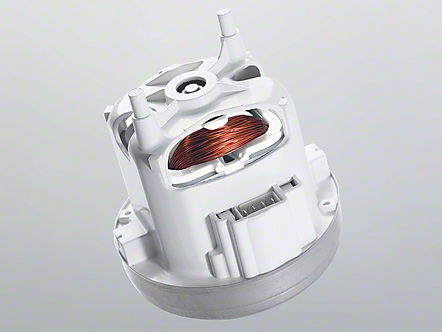 A temperature limiter protects all Miele stick vacuum cleaners from overheating. Should the air passage become blocked – for instance by vacuuming up bulky particles – the motor will automatically shut off for safety's sake. After the cause of the shut-off has been eliminated and the appliance has cooled down, it is ready again for service. Easy on the power grid. The length of Miele's telescopic tubes can be easily adjusted to your individual working height with the push of a button. This is convenient, gentle on your back and also ideal for vacuuming under furniture. 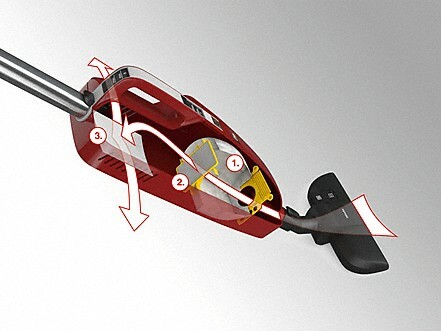 Practical: The telescopic tube can be connected at the lower end of your vacuum cleaner. 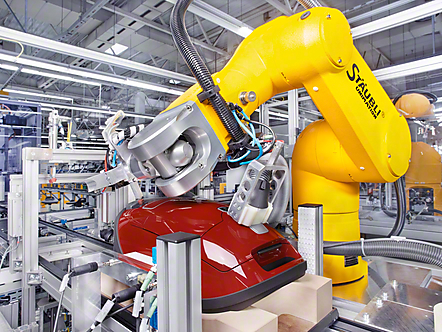 The switch is positioned on the elbow of the handle for easy and ergonomic operation. The current power level is always visible. 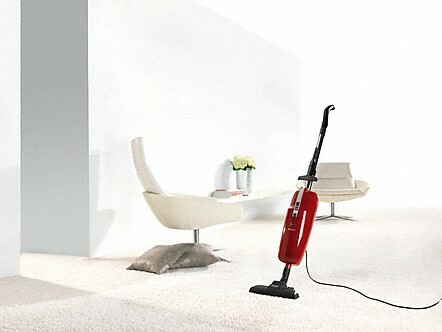 Miele stick vacuum cleaners offer you the freedom of a 29.5 ft operating radius. 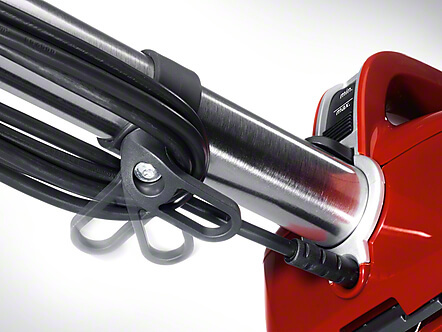 This allows you to vacuum large areas without effort, as you barely need to change sockets. 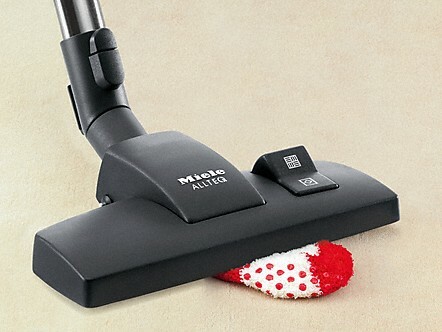 Miele stick vacuum cleaners have a slender casing and an extra low center of gravity. This makes them very light and maneuverable. They glide easily on their metal soleplate even through small homes with lots of furniture. The accessories can be attached to the Telescopic Suction Wand with a practical clip. This allows the upholstery and crevice nozzle to be handy at all times. 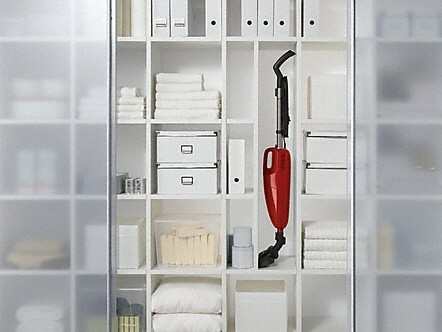 Compact, slender, lightweight - these advantages enable the Miele stick vacuum cleaner to be stored conveniently. It requires very little storage space and thanks to the integrated non-slip stopper it rests securely against the wall. Or you can save space by hanging it up; a sturdy holder is integrated in the handle. 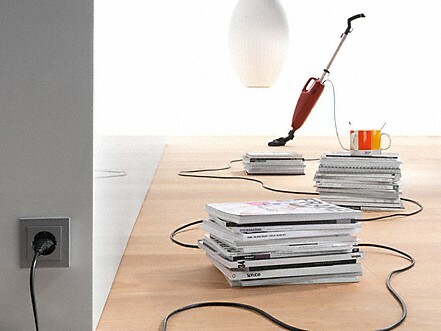 Miele has developed many clever technical features to make floor care as easy as possible for you. Handle with practical features "Thanks to the integrated non-slip stopper, it can be leaned securely against walls or doors and stored with minimum space requirements on a wall hook by its handle grommet."